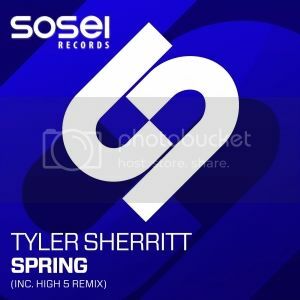 Tyler Sherritt - Spring [Sosei] | OUT NOW! Thread: Tyler Sherritt - Spring [Sosei] | OUT NOW! As we delve into the Sosei Records vault once more, we unearth our next ground breaking and awe inspiring release. Next up is a young New York based star, who not only DJ’s and produces but who also has had a hand at singing and song writing. 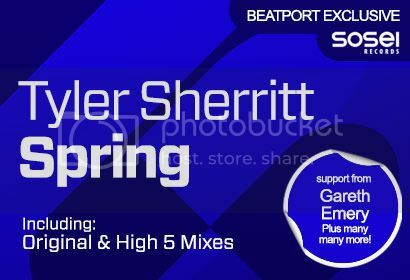 Tyler Sherritt makes his debut on Sosei with the mighty big room sounds of ‘Spring’. Having already performed at parties alongside the likes of Eric Prydz, Cosmic Gate, Afrojack, Armin van Buuren and many more, Tyler once again comes up with the goods and delivers this spellbinding electronic cut that is for sure going to blow the genre fans away. With its huge energy, feel good vibe and forward thinking production, it’s a biggie! The remix comes from rising Polish star Karol Czubak, better known as High 5. True to form the remix maestro does what he does best and delivers an essential emotional cut, with plenty of driving energy and uplifting vibes throughout.